« Evidence that Charles Darwin was not an atheist! This entry was posted on October 7, 2012, 12:05 AM and is filed under new atheism, Science and evolution. You can follow any responses to this entry through RSS 2.0. You can leave a response, or trackback from your own site. I will ignore your first comment, since it is assumptive. There is not one iota of evidence in that quote for ‘atheism’ but doubt and critique of religious extremism. Which begs the question; do you trust your own depravity to make the grand assumption of atheism? Darwin is writing about harshly impressing God upon children as some did in his day, not allowing them to think for themselves and unable to shake those opinions off throughout life. There’s no need to call yourself a snake! I mean, it is true, but there’s no need …! I will ignore your assumption that i am depraved. Making a statement then picking only a few passages that suit and not including those that put it into context is dishonest. How do you define religious extremism? Inculcation: To impress (something) upon the mind of another by frequent instruction or repetition. Standard operating procedure of any religion today not just in his day. 1) All men are, by nature, depraved! 2) You say; “Making a statement then picking only a few passages that suit and not including those that put it into context is dishonest.” So where does that leave you? I have answered your quote. I have taken nothing out of context. I have quoted Darwin’s words, which, you seem to dislike? He declared himself a “Theist” how can my quote of that be out of context? 3) I define, ‘Religious extremism’ as a violent or aggressive demand for an absolute adherence to doctrines, which even in the face of reason do not adhere. Where no room is made for reasonable debate, or tolerance. 4) Concerning “Inculcation”. 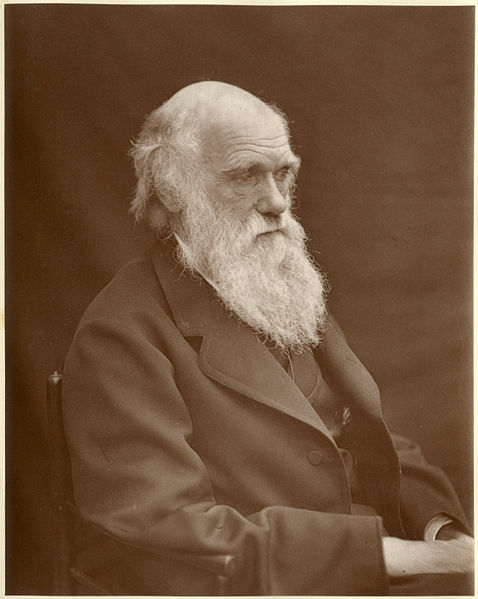 In Darwin’s day, which is the historical context of his words, I have said nothing out of line. I repeat; “Darwin is writing about harshly impressing God upon children as some did in his day, not allowing them to think for themselves and unable to shake those opinions off throughout life.” Thus, it certainly was a reality in his time, which is the context of the quote. Darwin was not writing about the distant future of his day, but of his present, thus, with that in mind, I disagree with you on your shifting the meaning of my words to the present. It is not “Standard operating procedure of any religion today not just in his day”. The facts remain that ‘1688/1689 Bill of Rights’ and the ‘Act of Toleration 1689’ were passed by Protestants in Parliament and is still adhered to this day. Only some denominations of various religions practice “Inculcation”. The new atheist disinformation agents are guilty of ‘disinformation’. The facts remain that since the ‘Reformation’ there are more tolerant Christians today than there have been since the first 3 centuries of Christianity, especially since the Roman Catholic church lost its grip over Europe. The Church of England is now a better option. You say by definition of “Inculcation”; “To impress (something) upon the mind of another by frequent instruction or repetition”. Well, yes, but from where I stand, that sounds a lot like the new atheists. Your views are quite popular by those who adhere to the Disinformation of the New Atheists.